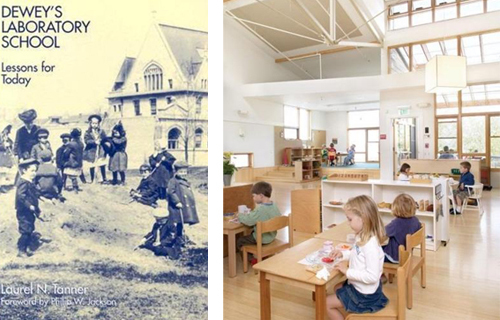 Left: A book by Lauren N. Tanner - 'Dewey's Laboratory School - Lessons for Today'; and right: the Marin Montessori School designed by Pfau Long Architecture. In 1895, Dewey set up his 'laboratory school' where he tested his ideas on 'learning by doing'. 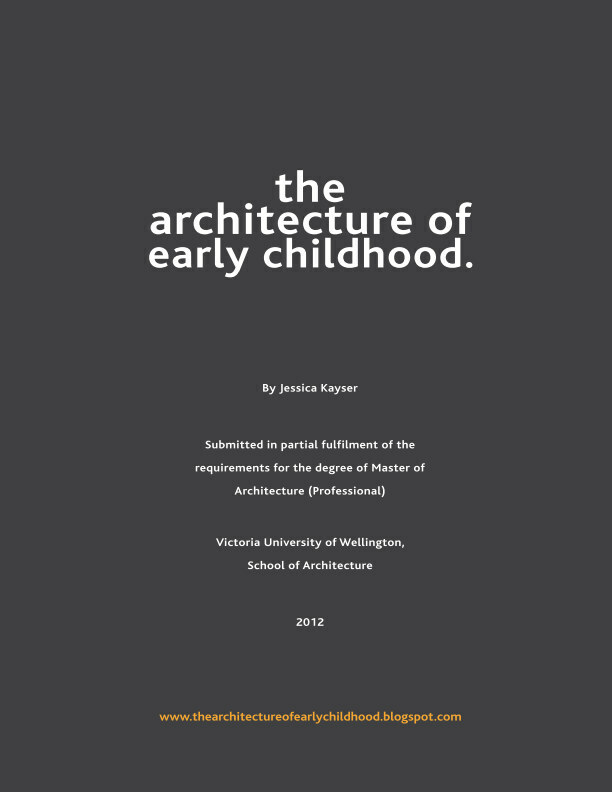 His early learning section (which he named 'sub-primary') was based on activities around family life and that "tapped in" to the child's natural interests. A popular pedagogical theme today that was however rather extraordinary at the time. 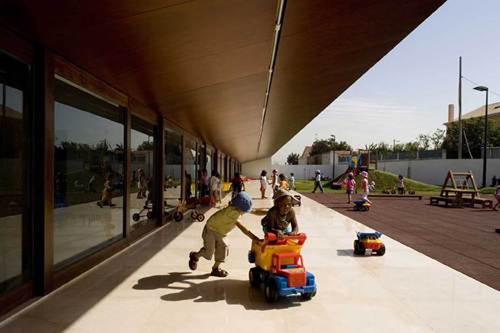 Kindergarten in Bicesse Estoril designed by Atelier Central Arquitectos. Dewey also emphasised the social context of learning, stating: “A child is not born with faculties to be unfolded, but with special impulses of action to be developed through their use in preserving and perfecting life in the social and physical conditions under which it goes.” He saw the role of education as learning to be a part of society, perceiving the school as a sort of miniature community of learners - where skills of co-operative and problem-solving were a key to everyday life and living as a democracy. From left: Children at The Tinkering School build a wooden roller coaster. Middle: Children play on the indoor play structure, which they helped build. Right: Milan Joshi, 5-years old during a wood-working class at the Eliot School. These ideas are beginning to infiltrate into primary education, especially in the United States, with some schools becoming more "like a kindergarten". Doug Stowe, writer of the 'Wisdom of Hands' stated “there is an awakening going on” and that until the 1900s, “there was a widespread understanding that the use of the hands was essential to the development of character and intellect” (Scelfo, New York Times, 2011). 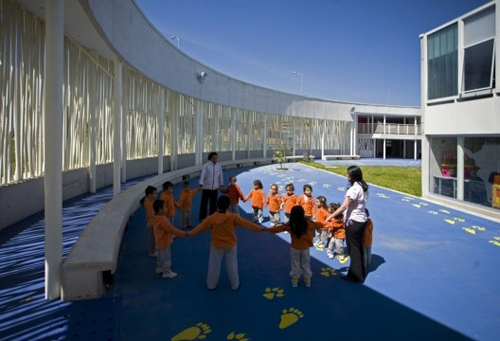 El Porvenir Social Kindergarden in Colombia designed by Giancarlo Mazzanti. Dewey's ideas on 'learning by doing', encouraging the child's natural interests and of learning to be a part of a co-operative and loving community are still highly relevant, and I think he would be happy to find these concepts continuing to be embraced today.